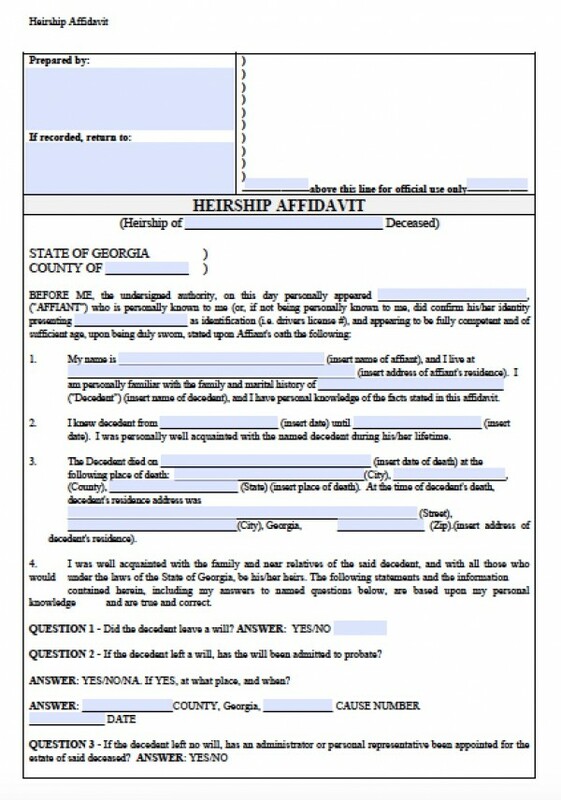 Affidavits of heirship in Georgia can be filed by successors who have agreed how the estate will be divided, and there is no will specifying how the small estate should be administered. 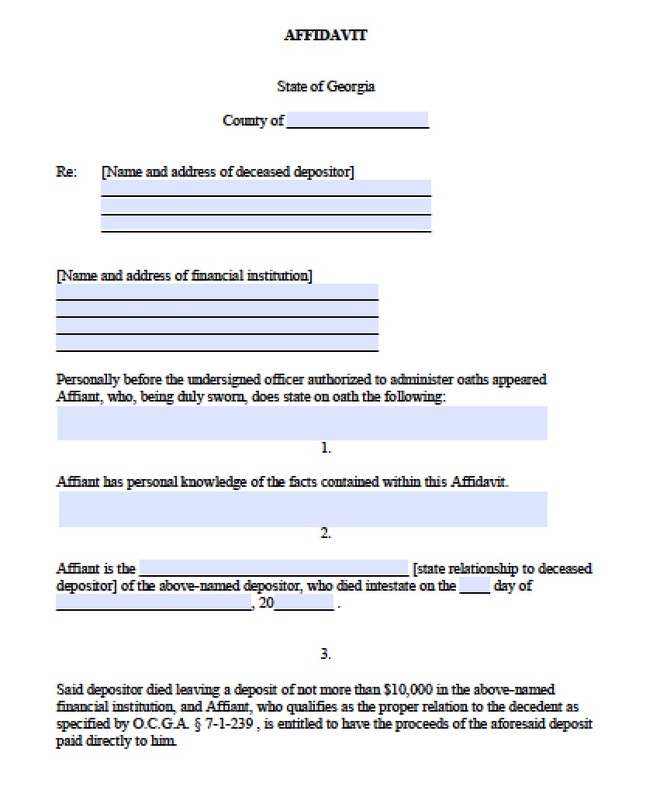 For example, heirs may use the affidavit to collect money from a bank account as long as the amount is below $10,000. Ga. Code Ann. §§ 53-2-40 governs the simplified affidavit of heirship procedure.